Bond no. 9 will launch New York Sandalwood, the latest in the unisex New York Notes series that includes New York Amber, New York Oud, New York Musk and New York Patchouli. This year we turn our attention to a beloved/indispensable perfume mainstay that’s been prized all over the world for millennia: intoxicating, inviting, warming, creamy, irresistibly smooth sandalwood. Calm and collected on its own (and frequently employed as an aid in meditation and for calming the mind), sandalwood plays a crucial triple role in perfumery. First, it serves as a sinuous aphrodisiac that melts resistance away and lulls the senses into submission. Second, as a peacekeeper that draws together other, disparate scent notes and unites them into a harmonious and alluring whole. And third. as an enduring base note that extends the life of volatile fragrance blends over time. [...] Taking full advantage of this aromatic wood’s ingrained durability, Bond No. 9 Sandalwood was designed for maximum sillage, or diffusion. Wear it, whether you’re male or female, and you’ll be noticed, for sure. And to underline its smooth, creamy scent, we’ve surrounded it with some unexpectedly heady supporting players. The starter notes, for instance, are earthy, tangy carrot, along with violet-like orris and spicy cardamom. They segue into the heart of this eau de parfum, where sandalwood holds its own with ripe, sassy fig and papyrus—an aromatic wood with a dry, austere scent that was used as an early form of paper. The lingering base confers incredible staying power, combining sensual, animal musk, woody, tenacious oakmoss, and honey-like amber—which, like sandalwood, has its origin in a sturdy, reliable tree. Bond no. 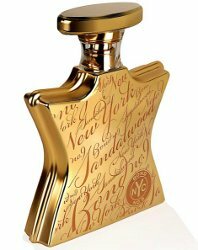 9 New York Sandalwood debuts next month, in 50 ($260) and 100 ($330) ml Eau de Parfum. It can be pre-ordered now at Saks Fifth Avenue. Never have gotten jazzed about this line, not worth the price point, imo. They’re spendy. I have not tried many in this particular “Notes” line, but this one does sound nice to me. I got a sample of this a few weeks back from my friendly SA at Saks. It struck me as the most un-Bond of all their frags that I have tried, at least from the sample. I was thinking it would make a better layering fragrance, but I should probably try it again when the weather is a bit cooler. So better than most, or not as good as most? Again, it strikes me as very un-Bondlike, so depending on your opinion of Bn9, it could go either way. How’s that for sitting on the fence? For me, I’m not sure I like it, although I need to wear it again when it cools down a bit. LOL…I will have to try it then!